Looking for somewhere to take the family over the Easter holiday? Ann Evans has some suggestions. If you’re looking for family activities this Easter, then the Ironbridge Museums in Shropshire have lots going on. At Blists Hill Victorian Town you have the unique experience of enjoying a Victorian Easter in this recreated town where people go about their lives just as they did 100 years ago. Walk through the historic streets down to The Green and have a go at traditional Victorian games, such as croquet and stilt walking. You could ride the chair-o-planes in the Victorian fairground. While in the Goods Shed, there’s plenty of hands-on activities such as candle-dipping and making watercolour bookmarks. You could pop into the New Inn for a lunchtime sing-a-long with the pianist and the town’s resident blacksmith will be working at his red-hot forge every day over the holiday, except Mondays and Saturdays. You can see him making a variety of items from keyrings to pokers in the traditional fashion. 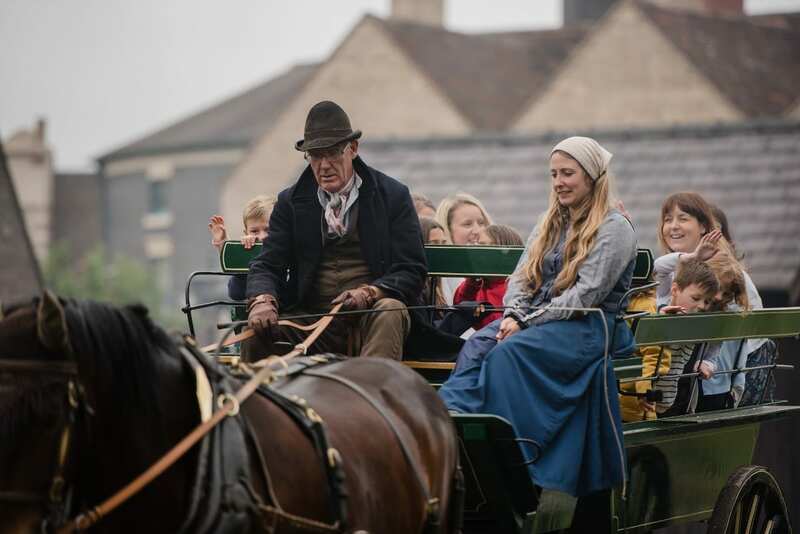 There are horse and cart rides to enjoy, and if you’re brave enough experience a Victorian school less at 12 noon. For the children there’s a Beatrix Potter theme throughout the Easter Holidays until 28th April. The Easter Bunny has lost his dinner, so you can follow trails around the 52-acre open-air museum and help him track down his fruit and vegetables hidden around the town. Older children and grown up kids can search for the symbols used by Beatrix Potter in her coded diary to represent letters of the alphabet. Find all and decipher the secret message. Complete the trails and collect free hen-size chocolate eggs for an Easter treat. And at 2.30pm every afternoon you could head out to the town’s woodlands and listen to readings from Beatrix Potter’s books and hear tales of her favourite characters. Over at Ironbridge’s Enginuity Museum, young visitors can get creative and use their imaginations to make their own spring-loaded creatures from brightly coloured craft materials. Then challenge your family and friends to see whose creation can ‘jump’ the furthest and hit a target. And of course, take your creature home with you. 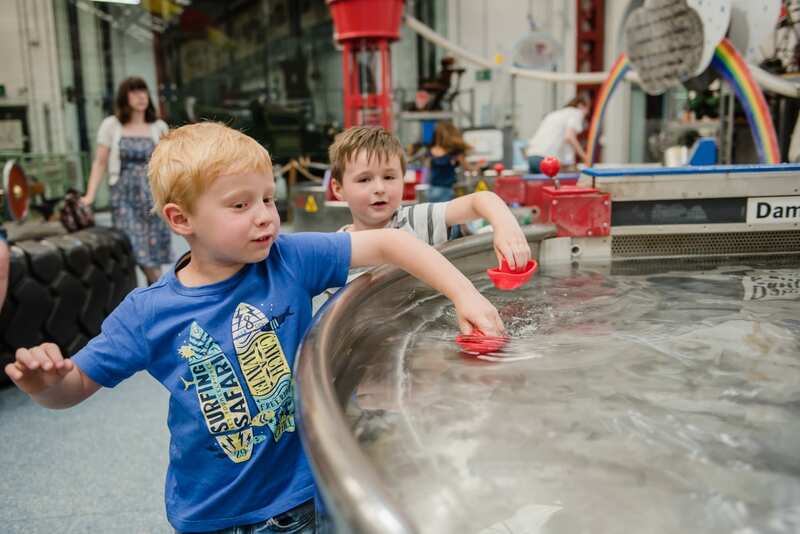 Visitors can also play with the huge interactive exhibits at Enginuity; generate electricity using dams, build your own earthquake proof tower and see who can build the strongest bridge. You can also try and solve the free puzzles on the demonstration desk or see if you can make the paper helicopters fly. At nearby Jackfield Tile Museum family floral-themed workshops are taking place. Join in and create your own colourful designs at drop-in tile-decorating workshops. Have a go at clearing a spring flower design or a garden scene. The Victorian tube lining technique will be used to decorate the tiles, which is just like icing a cake! Once you’ve piped on the design you can add colourful glazes, then leave your tile at the museum where it will be fired in a kiln and posted to your home; or you can collect it from Jackfield if you live nearby. These fun and informal sessions will take place Monday to Friday until 26 April, allow up to 1½ hours to decorate your tile, last admission is at 2.30pm. 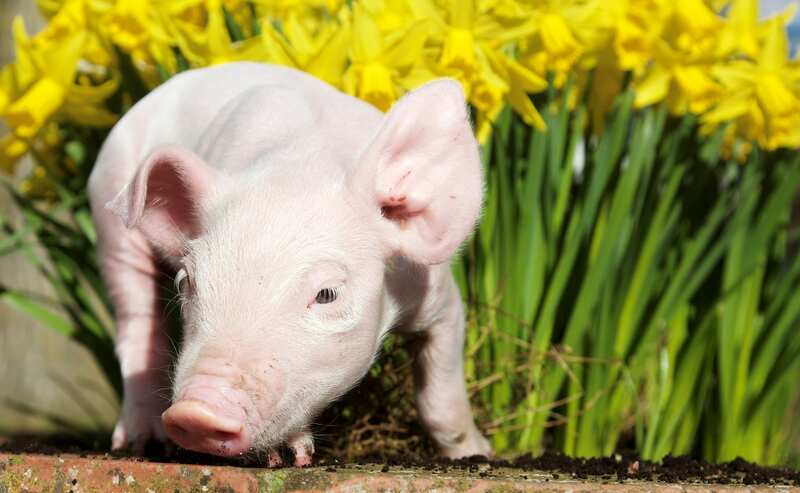 You can also get crafty at Coalport China Museum during the Easter school holidays until 28 April by decorating a money box, fridge magnet or paper plate with spring flowers using quick drying paint. Also, on Mondays, Wednesdays, Fridays and Saturdays over the break you can try your hand at sculpting with air-drying clay to make a posy of flowers or a baby chick. 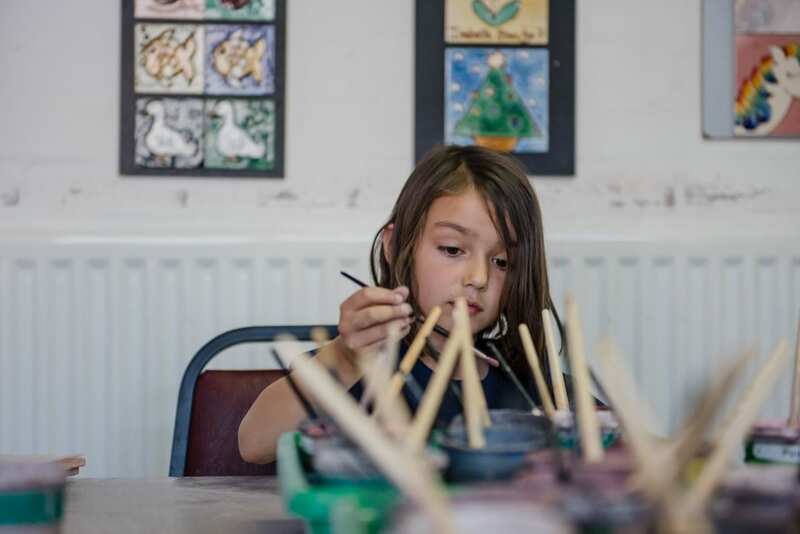 The ceramic painting activities carry a charge of between £1 and £4 per item plus entry, clay sculpting is an additional £2 per item while the paper activities are included in your admission fee. You can take your finished items home with you on the day. So, lots going on at Ironbridge over the Easter holidays. For more information visit: www.ironbridge.org.uk or call 01952 433 424. In Warwickshire, you could have fun over the Easter holidays at Hatton Adventure World. There’s a special springtime buzz in the farmyard with all the newly born baby lambs, calves, piglets, chicks, ducks and bunnies. All the mums and babies are housed in a giant marquee – a very noisy nursery! Also, their flock of sheep will be lambing over the holidays, so there is every chance of actually witnessing a birth, if you’re patient. For the young there are Easter Egg Hunts, animal handling, magic shows, puppet shows and funfair rides. Over 8’s can play three different versions of Laser Combat every day, have a go on the assault course and meet exotic creatures from snakes to tarantulas. 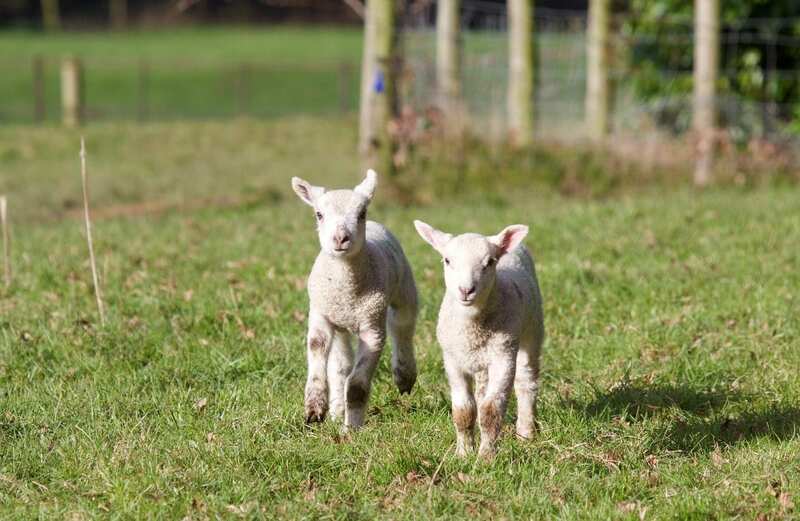 The whole family can enjoy our Tractor Safari, Sheep Racing and Falconry displays which are all back after the Winter. With so much to do indoors should there be some April showers there are hours of fun to be had for every member of the family in Snorty’s Superslide Mania. 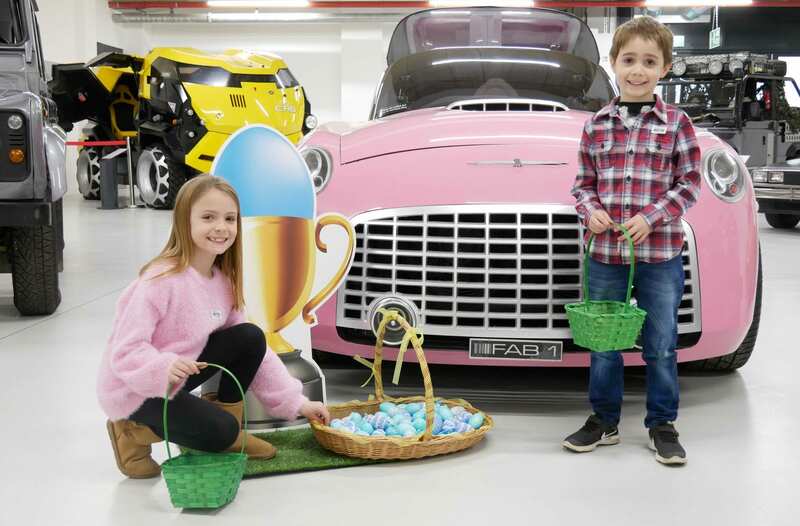 The British Motor Museum kick starts its Mini 60th celebrations with a host of themed family activities which run until 28 April. Visitors can enjoy family tours with a Mini mad mechanic character, follow a Mini Trail and make a Mini using air dry clay. Over the Easter Bank Holiday Weekend from 19 – 22 April children can enjoy a traditional Easter Egg hunt with a Mini twist – collect eggs around the Museum to claim your Mini Egg reward. The Family Tours take place every day at 1.30pm with the Mini mad mechanic characters Madge or Martin, who will take visitors on a fun and informative family tour. The Make a Mini workshop is a drop-in activity, running each day from 10am to 3pm where children can get hands-on with air dry clay to design and build their own Mini to take home. The ‘Back to the drawing board’ Mini trail is also available daily and takes inspiration from Alec Issigonis, the designer of the Mini. Children can pick up a trail board and explore the Museum finding different pieces of a jigsaw to design a Mini. Full details and more here: www.britishmotormuseum.co.uk/events/family-activities or call 01926 927823.